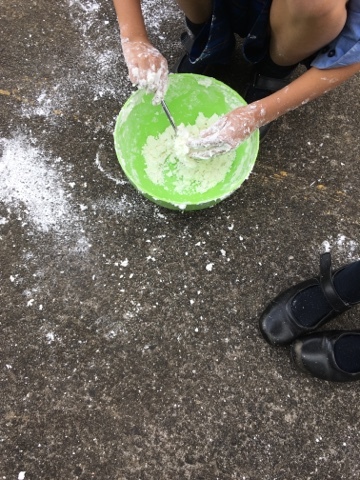 Experimenting with Cornflour and Shaving foam! What kinds of changes do you notice happening? How does it feel? What has the texture become like? Has the temperature changed? Instant snow! It feels like cold bread crumbs! 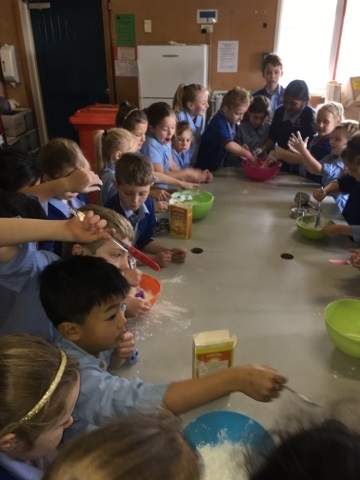 Then we mixed the ingredients together with our hands!! Oh my goodness! That looks like such a lot of fun! 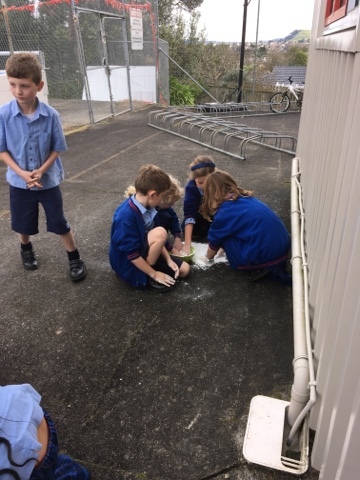 Your hands looked so gooey!I wonder if we could do that in Room 13 too! Hi Room 13 it's very easy to make and fun! 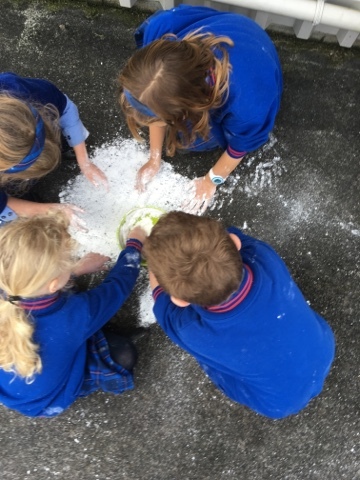 It gets pretty messy and if you clap your hands the snow sprinkles everywhere!! ASB Get Wise Programme Visits Room 20 today!